Junsu's behind-the-scene pictures for a pictorial have been released. On September 1, C-JeS Entertainment revealed the photos through its official post channel. In the photos, Junsu look gorgeous with jean-jean fashion and boyish with floral garlands. 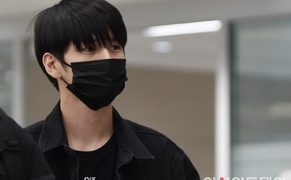 Netizens who saw the pictures left comments like "He is indeed a pictorial fairly! The behind-the-scene photos look beautiful, too! ", "The photos are so pretty", and more. Meanwhile, Junsu will play Dorian in the musical "Dorian Gray", which portrays the story about the young man who exchanges his soul with his portrait to achieve eternal beauty." The musical will make its grand opening on September 3 and run till October 29 at Seongnam Arts Center's Opera House.